The dynamic vapor sorption method is used in laboratories world-wide to examine the intriguing moisture sorption behaviour of materials. DVS is used in the industry as well as in academia. It is applied in pharmaceutics for salt-screening and to analyse polymorphism. 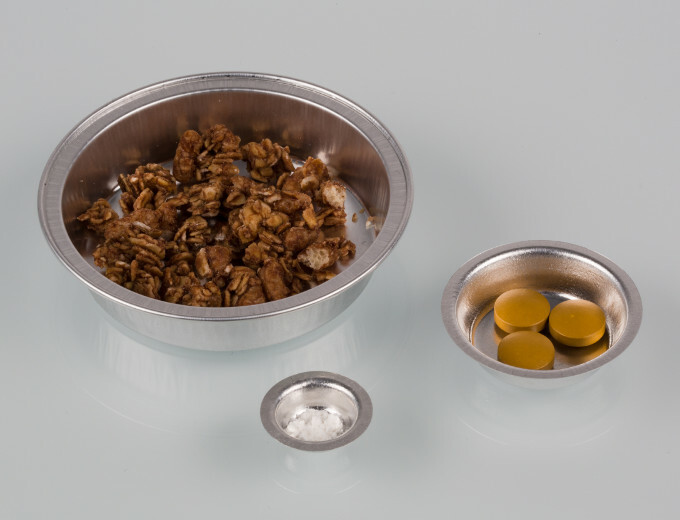 In food research it is used in stability and shelf-life studies as well as to investigate moisture migration between ingredients in a food product. DVS helps to develop sophisticated pakaging materials by measuring the water vapor permeability of films and foils. It is also a valuable tool to asses the caking behaviour of powdered and granular material during transport, storage and handling. In building physics it is used to analyse water uptake and release of insulation and construction materials made of wood, plaster, fibres or concrete. In the electronic industry moisture induced failure of componenents is of interest. Originally developed for pharmaceutical research, dynamic vapor sorption nowadays is used in a continuously growing number of applications. 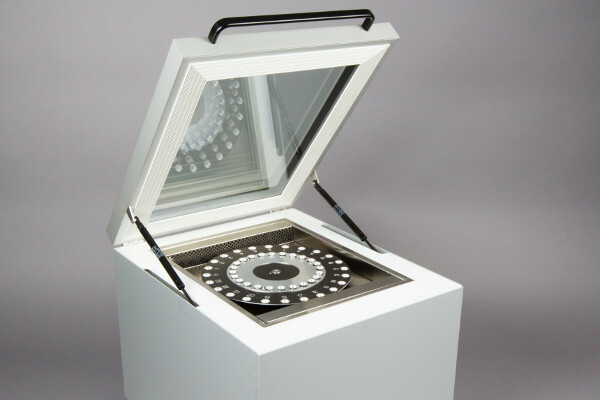 The basic operation principle of a sorption analyser is to measure the change in mass of a sample that is kept in an environment of controlled constant temperature and relative humidity. 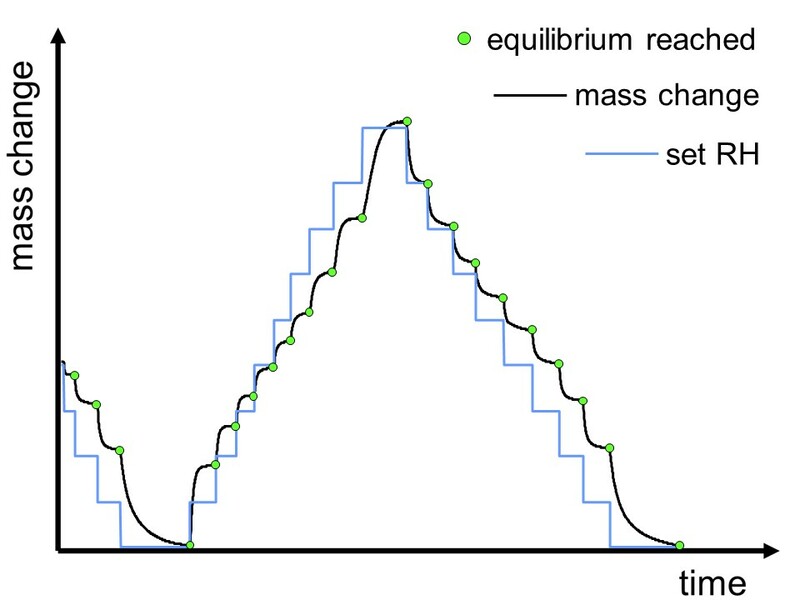 Change in mass takes place either by water sorption from the surrounding air to the sample or water desorption from the sample. Uptake or release of water is determined gravimetrically by means of a microbalance at defined time intervals. At the early stage of sorption/desorption, the change in weight is large. Over time, the process approaches an equilibrium and the change in weight is continuously getting smaller. When the sample weight is finally stable, it is at equilibrium with the surrounding atmosphere. 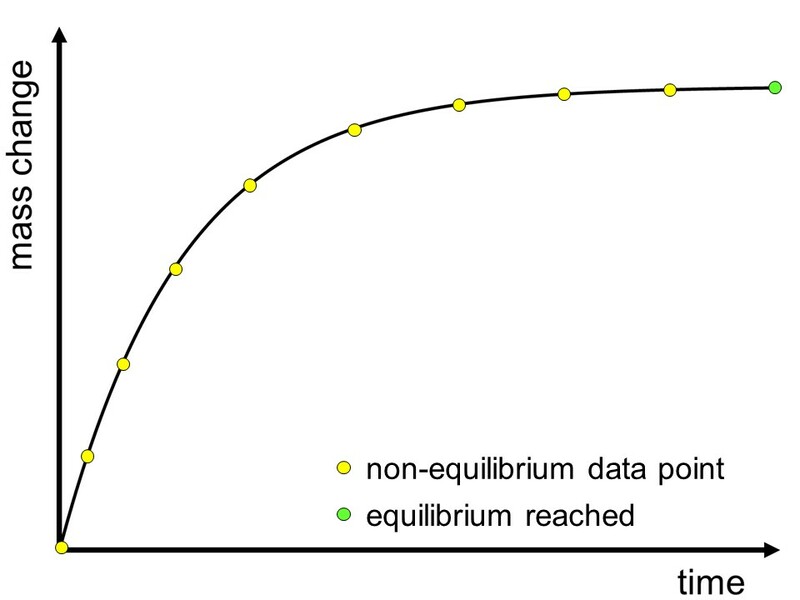 This equilibrium condition is constantly checked and as soon as fulfilled, the measurement is continued at the next humidity step. Typically, a full sorption/desorption cycle (sorption from dry conditions to high RH and desorption from high RH to dry conditions) in small RH steps is done. 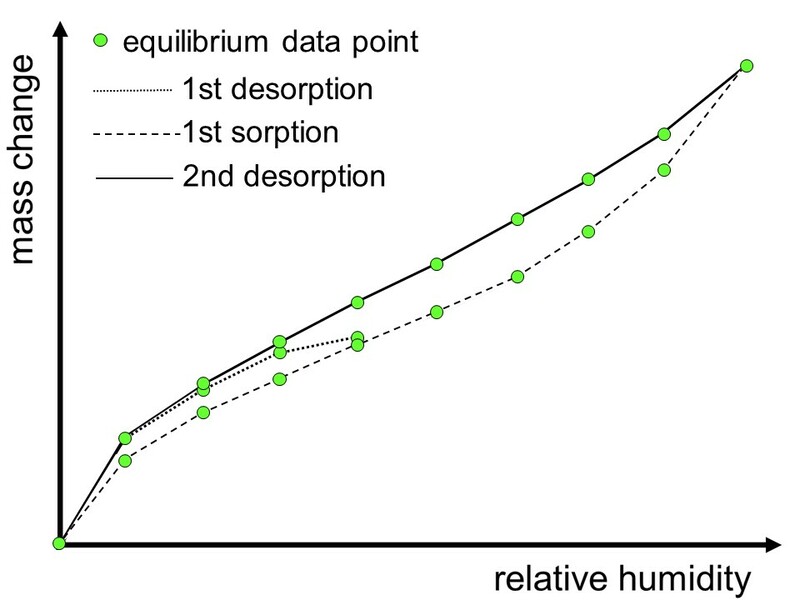 The individual equilibrium values from all humidity steps of a sorption/desorption cycle are used to generate the sorption isotherm. ProUmid manufacturers and sells two series of multi-sample dynamic vapor sorption instruments that cover all kind of moisture sorption applications. The multi-sample sorption system SPS is a synonym for highest precision and reliable measurements over a wide temperature range for demanding sorption tasks in research and development. With the available four SPS models, different in precision and load range of the installed micro- or ultramicro-balance, the SPS covers all applications areas from pharmaceutical pre-formulation to building materials. 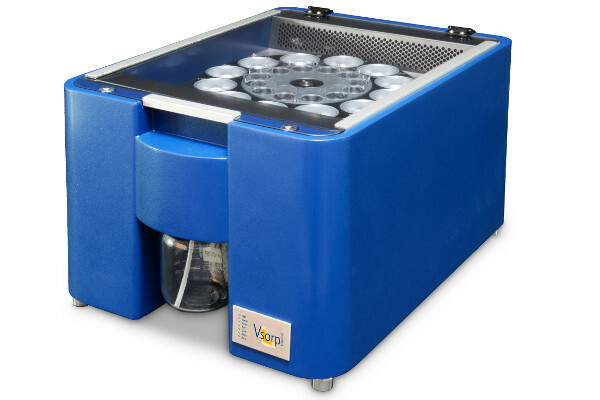 The Vsorp is an easy to operate, innovative instrument designed for measurement tasks at moderate temperatures used in research, development and quality assurance. It combines easy operation and minimized maintenance requirements with a robust design.